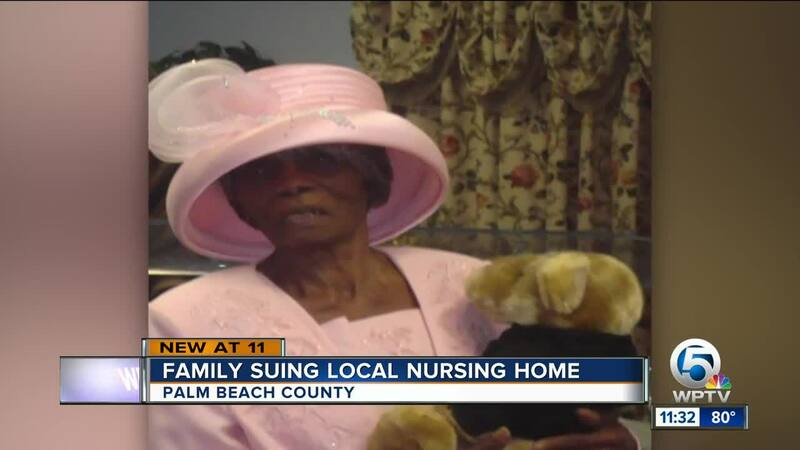 WEST PALM BEACH, Fla. -- A Palm Beach County woman is suing Lakeside Health Center in West Palm Beach after she says staff left her grandmother outside for hours in 91-degree weather. Her grandmother later died. 98-year-old Eva Mae Rhodes had dementia, was wheelchair bound, and couldn't talk, according to her family and a Department of Children and Families report. According to that same DCF report, Rhodes' temperature was 103 degrees when she was taken to St. Mary's hospital on May 27, 2017. St. Mary's nurses are the ones who contacted DCF. "I trusted Lakeside with her care. She [my grandmother] took care of me and I trusted her [with that]. The roles turned and she trusted me to make sure that she was taken care of and they failed," said Candace McKinley, Rhodes' granddaughter. In their report, DCF investigators called her sunburned and blistered shoulders "horrible." "She had second degree burns. That is akin to touching a hot stove," says Darla Keen, of Lytal, Reider, Smith, Ivey, and Fronrath. She is representing McKinley. The Palm Beach County medical examiner said Rhodes died of hyperthermia, due to sun and heat exposure. They did rule it was an accident, although records show the Medical Examiner's Office called West Palm Beach Police, who told Contact 5 they still have an open investigation into the death. Contact 5 obtained Medical Examiner records that show West Palm Beach Fire Rescue reported staff at Lakeside Health Center called them that day, but then called back to cancel the call, saying the patient left a "do not rescuitate order." According to West Palm Beach Fire Rescue, the staff told them Rhodes was unresponsive after being left out in the sun for hours. Fire Rescue refused to leave, and found Rhodes responsive to pain, and hot to the touch. Rhodes has been at Lakeside since 2014. Rhodes's granddaughter Candace McKinley said she had found her grandmother outside by herself several times over the years, and staff assured her it would never happen again. But it did, and 17 days after Fire Rescue brought Rhodes to the hospital, she died. "It's just helplessness not being able to render the care she rendered to me," said McKinley. DCF's report found Lakeside Health Center provided inadequate supervisio, and determined staff left Rhodes outside for "an undisclosed amount of time." Staff told DCF investigators they believed Rhodes was only outside for about a half hour, but that she "is able to move on her own and can go in and out anytime she chooses." DCF investigators said in their report, Rhodes should never have been left on her own. DCF told Contact 5 when they finished their investigation in June 2017, they sent their report to the State Attorney's Office and West Palm Beach Police, which is protocol. West Palm Beach police said they have had an investigation open since last year. WPTV found that Lakeside Health Center has been sued three times in the past 10 years for negligence. Those lawsuits include allegations that Lakeside failed to properly monitor and prevent falls and caused infections and wounds due to negligence. Lakeside Health Center told Contact 5 due to health privacy laws, they cannot provide specific information about Rhodes stay, but said in a statement: "Residents are our highest priority." McKinley says her grandmother raised her, her two siblings and helped raise McKinley's children. 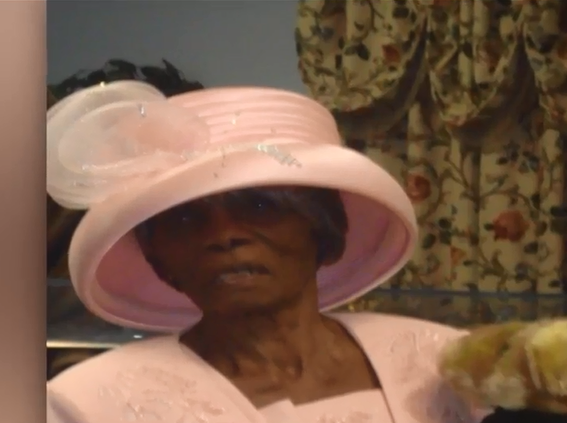 She said Rhodes was known as "Mama Sug" in the Belle Glades community and worked the fields out there for decades. McKinley and her attorney Darla Keen said they want to be a voice for all elders, and let nursing homes know this should not have happened, and should never happen again. The website for Agency for Health Care Administration did not show ACHA did an investigation, following Rhodes' death. We asked their spokesperson to confirm whether there was one done, as is protocol. They said they were looking into it. The nurse in charge of watching Rhodes that day was never cited, according to the Department of Health.They would not confirm whether an investigation was done, but said public records showed no available reports.